Mobility Scooter Hire Discounts on the Costa del Sol!!! Hope the day finds you all well. I was thinking about the client and how many times they have used my services not only in Fuengirola, but at hotels in Benalmadena and Torremolinos too. They come to coast around 2 or 3 times a year and stay a couple of weeks each time. Huge Discounts For ALL Mobility Abroad Costa del Sol Clients! Pay in advance for your Mobility Scooter Hire and receive a HUGE DISCOUNT! Normal weekly Hire Price for a medium size scooter at the moment is 70 euro. So… Here’s the deal! Mobility Scooter Hire Option 2. – 25 weeks advance hire package. There is no time limit as to when you use the weeks to hire the scooter. Hire for one week in one month, another two weeks two months later. Save your weeks for the following year/s etc. Protects you against hire price rises too! So chances are you will save a bit more money. Once you’ve paid for your weeks you can take them anytime you want – Even if it takes 5 years or more! 1. I’m sorry, but the weeks can’t be transferred to another person and the package will only apply to one named person. 2. If you are outside the free delivery areas, the delivery charges will still apply. 3. Only applies to a minimum one week booking at a time – Not a day or 2 at a time here and there. If you need it for 10 / 11 / 13 days etc that is not a problem. Apart from that, that’s it! It’s just a way of me saying thank you to my regular clients to whom I’d like to give something back! And if you live on the Costa del Sol for a few months of the year, this could be a great way of being mobile without the need to buy a Mobility scooter and then have to leave it in storage whilst you go back home. To book your Hire Option, or to ask me any questions regarding the above, just contact me. I do hope you like what I have put together for you. It actually feels to me like a proper sale with big discounts, as opposed to the “Sales” where you get a measly 5% or 10% of the ticket price! So that’s it from me for now. I feel a “cheeky little red” is about to be opened once I finish typing! https://www.mobilityabroad-costadelsol.com/wp-content/uploads/mobility-abroad-logo3-1.png 0 0 Tony Staffieri https://www.mobilityabroad-costadelsol.com/wp-content/uploads/mobility-abroad-logo3-1.png Tony Staffieri2017-08-19 19:41:542017-08-19 19:41:54Mobility Scooter Hire Discounts on the Costa del Sol!!! Which Mobility Scooter is best to hire for my holiday on the Costa del Sol. Torremolinos, Benalamadena, Fuengirola, Marbella. Having just started to use this thing called “Blogging”, I feel like a little schoolboy again writing the essay “What I did in the Summer Holidays” – not knowing where to start – on returning back to school! (a while ago!) 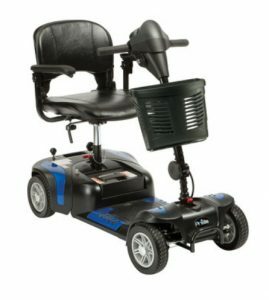 I really want to help people either on holiday or who live here on the coast with their mobility needs. 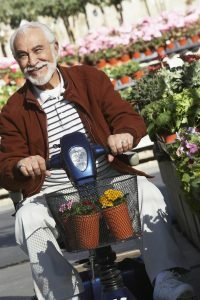 So what I thought I would do is write a few words from the beginning for those who have never used mobility scooters before, and are thinking about if it would help them to enjoy their holiday a little more. Having been in the industry for many years now, the one thing that happens 95% of the time is pride stops people from getting on the scooter for the first time. But how do you choose the mobility scooter that is right for you and your circumstances? So a few words to try and help. 2. A medium size scooter. Stop me if I’m getting to technical 🙂 ! So let’s break them down in brief as to what they each can do – Pro’s and Con’s. These scooters where designed to be broken down into 4 or 5 pieces, without tools, to make the manageable to go into a vehicle. Because they need to be the lightest as they can be, everything is smaller. The batteries, the seat, the length and width. They usually have no suspension and ideally only take a maximum weight of up to 18 stone – some will take up to 21 stone, but not ideal. Transportable. The battery box can be taken out to take indoors to charge. Ideal for holidays on the coast – Fuengirola, Torremolinos, Benalmadena and Marbella as some of the apartment blocks on the coast have very small lifts which these scooters usually are able to get into (check the size of your lift if you can). 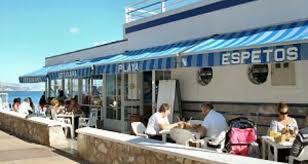 Great for negotiating shops and attractions on the coast. Due to the smaller battery they are suitable for short journeys. They do not cope very well with hills due to lack of power from the battery size. The ground clearance is about 2 inches high make some kerbs a little tricky to get down. Take care in choosing the Mini scooter as it may not get you where you want it to. On holiday you tend to go a little further it one outing than you sometimes would at home. But if you only want it for short journeys it’s a real help in tight spots. If you are interested in hiring or buying a mini scooter on the Costa del Sol feel free to get in contact with us. Here we go up in class as such. Usually 3 times the battery power of the mini scooter and a lot more comfier too. Further distance can be achieved – up to 20 miles’ish. The seats are bigger and more padded. They have suspension to help with a smoother ride for those who may have back issues. A higher ground clearance to help getting down the kerbs. They usually have lights and a bigger basket on the front to make shopping easier. will take around 20 stone user weight. Will not break down to go into a vehicle. The batteries usually do not come out, so to charge the scooter up you will need to be able to drive it close to an electric point. Will not go in the small lifts here on the coast. These were designed to take more weight and go a further distance with ease. The seats are larger again and can also help with the taller person as well with more leg room. A brief introduction to choosing your mobility scooter for the first time, whether it be to enhance your holiday experience or your day to day mobility if you are lucky enough to live here on the coast! There you can send me an email for any help you require or look at all the scooters and hire equipment I have. Thank you for taking the time to read this, but if there is topic you would like me to cover mobility wise, let me know and i will do my best! For those looking to hire in September, October and November, please get your orders in as soon as your flight is booked. It is getting extremely busy for those periods and I wouldn’t want you to be dissapointed. Better shoot off now… I can feel the pool calling! Catch up with you all very soon. https://www.mobilityabroad-costadelsol.com/wp-content/uploads/mobily-abroad-costa-del-sol.jpg 1333 2000 Tony Staffieri https://www.mobilityabroad-costadelsol.com/wp-content/uploads/mobility-abroad-logo3-1.png Tony Staffieri2017-08-09 20:48:102017-08-17 12:56:55Which Mobility Scooter is best to hire for my holiday on the Costa del Sol. Torremolinos, Benalamadena, Fuengirola, Marbella.